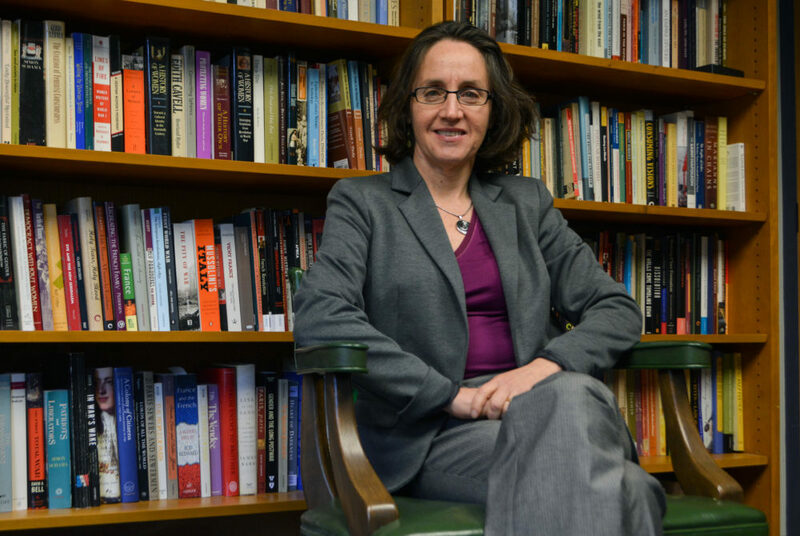 Katrin Schultheiss, the chair of the history department, said she decided to offer the course because students often want to delve into the history of their University. Updated: Oct. 30, 2017 at 4:35 p.m. Starting in the spring, the history department will offer a Slavery, Segregation and GWU course for the first time, giving history majors the chance to scour the archives and conduct their own research into how slaves and segregationist policies have shaped the University over its nearly 200-year history. The course comes on the heels of a faculty effort to formally investigate GW’s ties to slavery and a nationwide trend of universities beginning to come to grips with their roles in one of the darkest chapters in American history. Last academic year, a faculty research group asked top officials, including former University President Steven Knapp, to fund research into topics like the history of racial justice activism on campus and former college officials who owned slaves. University spokeswoman Maralee Csellar said faculty have “delved deeply into GW’s archives and are now working to bring their research to students and the broader community,” including with the new course. “We believe it is critical to understand and learn from every aspect of our past, including engagement with slavery and the reality of racial inequality that followed,” she said in an email. Richard Stott, a professor of history who will teach the course next spring, said he was interested in learning more about GW’s past connections to slavery after other universities like Georgetown have faced high-profile controversies involving slavery. Last year, Georgetown officials announced steps to atone for profiting off the slave trade in the 19th century. The class will be taught as a majors’ introductory seminar and registration will be initially restricted to history majors. Stott said it will be primarily research-based with students sifting through the University’s archives to find historical records about the history of segregation and slavery over time. Stott said students would also compare these issues to those at other universities – like Princeton and Georgetown – that have made their history with segregation public in recent years. History faculty said the course would allow students to take a more in-depth look at the institution and feel more connected to its past. Katrin Schultheiss, the chair of the Department of History, said she decided to offer the course because students often want to delve deeper into the history of their University and that offering this course was a good start. The provost’s office reached out to the department to expand research on GW’s past and its involvement with slavery, she said. “You have to understand the past of an institution to understand where it is now, and there’s been a lot of talk about these kinds of connections that have long been buried,” Schultheiss said. The faculty research group has so far found that “enslaved people had an almost constant presence on campus working as servants or laborers,” especially for former presidents and members of the Board of Trustees, according to the library’s website. After the Civil War, GW remained a segregated university for nearly a century, only allowing minority students in classes in 1954. Prominent figures in University history – namely former University President Cloyd Heck Marvin – fought against desegregation for years. Phillip Troutman, an assistant professor of writing who is part of the faculty research group, said learning about the University’s past could provide insight into its current policies and climate, particularly with how minority students and service workers are treated on campus. The research has found that pre-Civil War many students at Columbian College – GW’s original name – were adamantly pro-slavery. Around 1846 students almost rioted at the University’s former campus in Columbia Heights – after one student tried to help a slave on campus gain his freedom. Students threatened to burn an effigy of the student and riot if he was not expelled immediately. Faculty expelled him the next day, Troutman said. Those kinds of incidents show the power of students to impact the policies of administrators even today, Troutman said. In September, student leaders formed a committee to examine the history behind the names attached to buildings across campus and assess whether the honored individuals held bigoted or discriminatory views. Justene Hill Edwards, an assistant history professor at the University of Virginia where a similar course is taught, said offering courses focused on an institution’s past helps overcome a tendency in political discourse to not acknowledge America’s complex past with race, racism and slavery. The Hatchet reported that the new course will be restricted to history majors. Registration will be initially restricted to history majors, but the course will be opened to all students if open spots remain following registration.